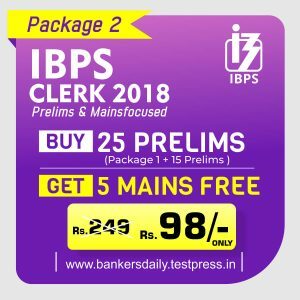 IBPS (Institute of Banking Personnel Selection) Mains Exam 2018 will happening in the forthcoming week and to be precise 18th November 2018. 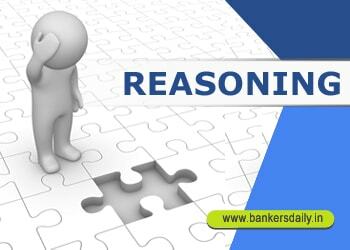 Aspirants usually find it difficult to crack the Reasoning Section & Quants Section as most of the marks are alloted to this section. Aspirants practice more number of questions in Reasoning and Quantitative Aptitude Questions for the upcoming IBPS PO Mains Exam 2018. 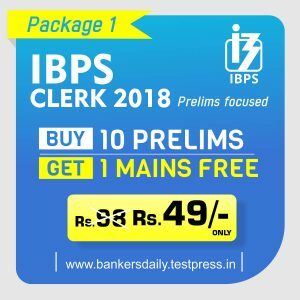 So our Team will be providing Practice Questions for the IBPS PO Mains Exam 2018. We are starting with the Easier questions and will be providing more complicated questions based on the recent exams. Start Preparing for the IBPS PO Mains 2018 now. D.1-5) Study the following information carefully to answers the given questions. In a building which has seven floors from 1 to 7 such that ground floor is numbered 1, the above floor is numbered 2 and so on. Seven friends Tapti, Lachie, Padma, Rachana, Bairavi, Mathew and William are living in different floors and Each one of them uses different type of Currency. i.e. Lev, Franc, Dollar, Pound, Krone, Euro and Yen but not necessarily in the same order. Only three persons live between Padma and the one who uses Lev. Tapti lives on an odd number floor but not on floor numbered 3. The One who uses Euro lives immediately above Tapti. The one who uses Lev lives on one of the odd numbered floor and above Rachana’s floor. The one who uses Franc lives immediately above of one who uses dollar. The one who uses Yen lives on an odd number floor. Only one person lives between Lachie and the Mathew. The One who uses Pound lives immediately above of Padma. Neither Padma nor Tapti uses Yen. Only two Persons live between Rachana and the one who uses Euro. Lachie lives on one of the floors above one who uses Franc. Bairavi does not live in top most floor. Q.1) Who lives on the top most floor? Q.2) Which of the following combination is true? Q.3) Four of the following five are like in a certain way, find the one which does not belong to the group? Q.4) Who lives immediately above of the one whose currency is Krone? Q.5) How many people lives between the one whose currency is Pound and the one whose currency is Euro? D.6-10) Study the following information carefully to answer these questions. Kaden, Samantha, Wesley, Gajrup and Quaid are like different types of chocolate namely five star, diary milk, milky bar, fruit-nut and lollipop. And they are from different cities Chennai, Mumbai, Bangalore, Hyderabad and Kerala and they work in different banks namely SBI, RBI, IOB, UBI and BOB but not necessarily in the same order. Neither Samantha nor Kaden is from Kerala. The One who is from Hyderabad does not work either in IOB or BOB. The one who is from Bangalore works in SBI. Gajrup likes lollipop chocolate. Neither Kaden nor Wesley is from Kerala and Hyderabad. The one who likes Lollipop works in UBI and the one who likes diary milk chocolate works in IOB. Samantha works in IOB. The one who likes Fruit-nut does not work in BOB. The one who is from Mumbai does not work in BOB. The one who is from Kerala is not Quaid. The One who likes Milky bar is Wesley and works in SBI. Q.6) Which of the following combination is correct? Q.7) Quaid works in which of the following bank? Q.8) The one who likes diary milk is from which city? Q.9) Who among the following person likes five star? Q.10) Wesley is from which of the following cities? D.11-15) In each of the questions below consists of a question and two statements numbered I, II and III given below it. 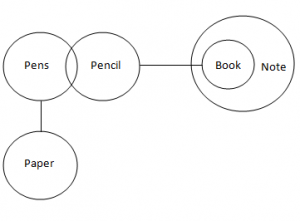 You have to decide whether the data provided in the statements are sufficient to answer the question. Read the statements and Give answer. 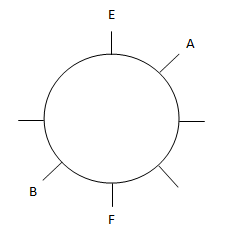 Q.11) Seven friends A, B, C, D, E and F are sitting in circular table all of the facing centre. Who is third to the left of F? I. There are two person sits between F and E. B is second to the right of E.
II. 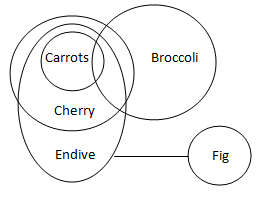 A is third to the right of F. B is not an immediate neighbours of C.
III. There are only one person sits between A and G. G and F are not immediate neighbours. Q.12) Eight friends L, M, N, O, P, Q, R, and S are sitting in a square table four of them sits corner of the table while others sitting sides of the table and all of them are facing the center. Who is sitting opposite to P? II. Q sits to the immediate right of P who sits not in the corner of the table. III. O sits second to the right of L.P is not an immediate neighbour of both S and L.
Q.13) How many persons sits between A and B if all of them are facing the same direction? I. A is 17th from the left end. There are 37 persons in the row. II. How many persons left of B is less the A’s position from the left end. III. B is 25nd from the right end. Q.14) Point T is which direction with respect to Point R? I. Point R is 7m south Point Q. Point T is 8m west of Point S.
II. P is 18m south of Point S. Point P is 6m west of Point R.
III. 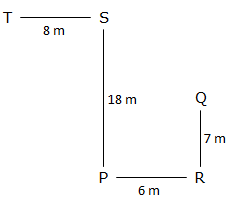 Point U is 8m east of Point R. Point S is 5m south of Point U.
Q.15) Six person A, B, C, D, E, and F are lives six different floors. Who lives lowermost floor. II. There are three floors between B and E. C lives below E.
III. There are two floors between C and F. E is not lives topmost floor. e) All I II and III are not sufficient. D.16-18) In each question below statements and followed by five conclusions. You have to take the given statements to be true even if they seem to be at variance with commonly known facts. Read all the conclusions and then decide which of the given conclusions logically follow from the given statements. 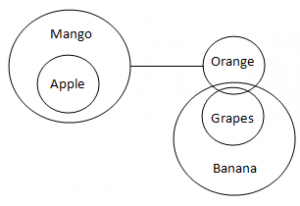 Some grapes are not mango. 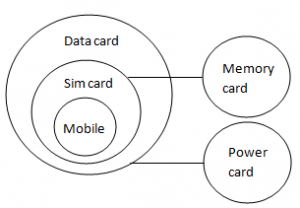 a) All mobiles are sim card, no sim card is memory card, no sim card is data card, no data card is power bank. c) All mobiles are sim card, no sim card is memory card, no data card is power bank, all sim cards are data card. d) All mobiles are sim card, some sim cards are memory card, no data card is power bank, all sim card are power bank. c) All roses are lily, all lilies are jasmine, no jasmine is lotus, some lotuses are not Irish. d) All roses are lily, all lilies are jasmine, some jasmines are lotus, some lotuses are not Irish. Answers for the above questions will be available in the list provided below.